Add something stylish to your accessory collection with these navigator sunglasses from Idee that are a perfect pick for the fashionable. Wear these beautifully designed sunglasses to add a unique charm to your look. These full rim sunglasses have gradient lenses and the frame is made of high quality metal injection. The fine color combination further adds to its look. 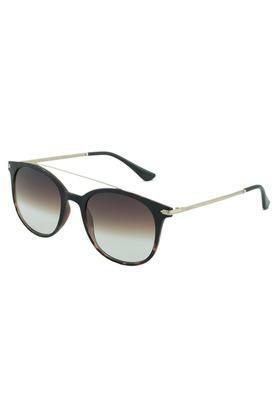 Make your eyewear collection superbly stylish by enhancing it with this trendy and pretty pair of sunglasses. They give an unique charm to the eyes and to the entire personality as well.